A loan of $6,000 helped buy equipment and grow my business. I grew up in Nigeria where we are encouraged to be enterprising and industrious. Most people work hard to make a living and that entrepreneurial spirit has been very pivotal in the start and maintenance of my business. A very important cornerstone of my ability to continue despite the discouragement I faced when I invested everything in my business was my faith in God which helped me to have hope in Him when there is no hope. I have a ministry called “When There is No Hope” which caters to the downtown Los Angeles Homeless men and women. It is an inspirational ministry that encourage them to trust in God when all hope is lost. I do visitation and buy food, seasonal clothing and toiletries as a way to show them the love of God and to let them know that someone cares. So, when it came to my turn to lose hope and faith in my business, I found solace in God and our Lord Jesus Christ and applied the same things that I encouraged those men and women to do. I am hoping that God will use the caring spirit of the men and women at KIVA Loan to help my move my business to the next level. This loan helps a woman entrepreneur improve her business. There has been acute shortage of health care workers in the United States especially in California. This shortage lead to poor healthcare delivery to patients because the staff are overloaded with the number of patients they cannot care for. However, Healthcare Staffing also called medical staffing agencies bridge that gap. 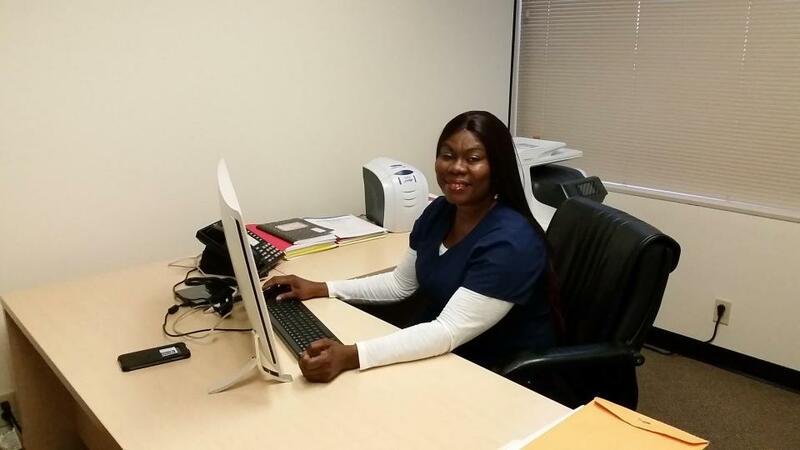 After experiencing the negative effects due to the shortage of healthcare workers and how staffing agencies help to reduce that problem, I was motivated to start my company in January 2016 and got incorporated in the state of California. However, financial handicap has been a major challenge since I have been running the business by my personal income. Financial assistance will propel my business forward and help it to have a wider reach. Also, I bring the unique perspective of my professional experience and background as a registered nurse to the business. It helps me to know what my clients and workers needs are and how to adequately attend to it and this will help in the growth of my business if adequate finance is made available. I am very proud that through this business, I am able to relieve the suffering of patients and staff and make a difference in peoples lives. The loan will help buy equipment like computers, printers, scanners, inventories. Most of our office job are done electronically and efficient computer system will improve the efficiency of our business and help us coordinate our field staff who help in various healthcare institutions to reduce the acute shortage of health manpower. Each of our computer cost about $1,500 and we need to purchase 5 computers, printers, scanners, buy other inventories that will help us have a wider reach to our client base and this will help grow our business and move it to the next level. I started running the business and paying for expenses with my personal income and it has been difficult to expand because of lack of financial assistance. This KIVA loan will assist in the expansion of my business and help the stability of my personal and family life. Why are you endorsing Stella? Stella is a 2017 Enterpriser Graduate of the BEST Mobile Accelerator, is a certified Woman-Owned/Minority Business by the State of California; and has a contract with the State of California to provide HealthCare Staffing services to support up to forty facilities.